In 2018, GTA made their greatest contribution to the IUCN Red List of Threatened Species, publishing Red List assessments for more than 1,500 tree species. The most recent update to the IUCN Red List (2018.2) included assessments for several maple species, Mexican endemic trees, Filipino Xanthostemon, American timber trees as well as widespread Least Concern Species. Assessments for all species of the genus Zelkova are now available on the Red List. This year BGCI has also been tackling assessments for some tricky timber species such as CITES listed Pterocarpus erinaceus. Compiling data across its West African range, it is predicted to experience a population decline of over 50% in the next one hundred years if the current rate of extraction continues. Threats to this species, traded under the name Vene, have increased due to global demand for rosewood timber and the growing scarcity of other rosewood trees such as Dalbergia in the wild. Illegal harvest and trade of this species is rife, and requires solutions at every stage of the supply chain in both exporting and importing countries to ensure the sustainable use of P. erinaceus in the wild. Following two red list review workshops in Ethiopia and Kenya, 78 tree assessments for their endemic and near endemic tree flora can now be found on the IUCN Red List. These assessments were completed in partnership with Eastern African Plant Red List Authority, The University of Addis Ababa Herbarium and East African Herbarium, Kenya. 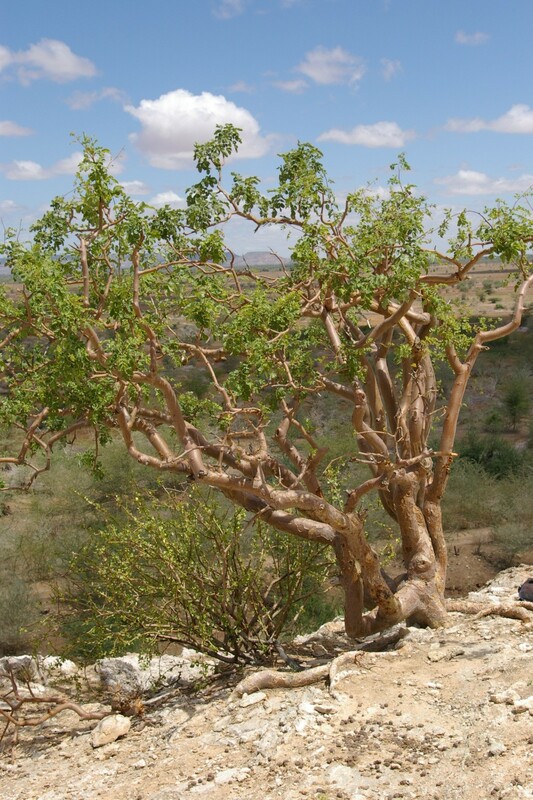 This was a great opportunity to update some assessments published in 1998, including Boswellia pirottae, used locally for incense. This species has moved from Near Threatened to Vulnerable due to a construction of the Gibe IV dam, which threatens to flood the species’ habitat. Equally, individuals in sites above the dam are at greater risk from fire due to changes in microclimate. This second IUCN update also included more assessments for Haitian endemic trees. These assessments were completed in partnership with Cayes Botanic Garden, Haiti with many assessments being published in French. This is part of a move by IUCN to allow assessments in other languages including Spanish, French and Portugese. In the last half of the year, GTA has been focused on streamlining the assessment process for assessing Least Concern species. Since 2016, we have been developing a workflow with the Global Tree Specialist Group members to rapidly assess species with a large geographic range and that have a large number of known georeferenced botanical collections. Where available, map data has been generated for all trees in our GlobalTreeSearch database and groups of species have been sent out for review to experts in the region or taxonomy to verify the Least Concern assessment. These efforts continue and have so far enabled the assessment of 600 tree species. GTA is gearing up for 2019 with plans to significantly scale up our assessment output! We can’t do this without your help and support, if you can review or write assessments for trees please let us know and contact us at redlist@bgci.org.